Surrounded by his children, Joe left us to be with the Lord and his beloved Edna on Wednesday, May 2, 2018. He leaves a legacy of many things expertly built; buildings, furniture and most importantly, people. Joe grew up in the Browntown section of Wilmington, surrounded by family and a strong immigrant Polish community, anchored by St. Elizabeth's church and school. He excelled at sports and loved outdoor activities, especially fishing. He came from a family of patriots, his father serving in WW I and as commander of the local VFW. Joe answered the call to serve in Korea, surviving extreme cold, heat and enemy fire, losing friends and forging lifelong friendships. He proudly wore his Korea Veteran hat until his last day and kept an American flag flying at home. He was a devout Catholic, sending all 4 children through St. Matthew's School, attending Mass weekly and supporting the church even when times were tough. Joe Powalski was an outstanding carpenter, foreman, instructor, general contractor, and construction superintendent. 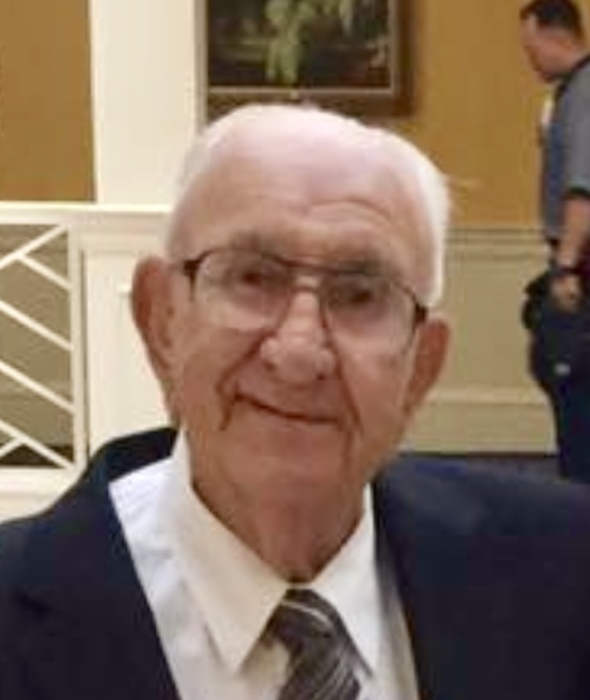 That was his career in a nutshell but it barely begins to describe the man, because Joe Powalski wasn't just a craftsman and builder of homes, hospitals and schools, he was a dedicated builder of people. From Carpenters Local 626, Joe received a Lifetime Achievement Award and became Director Emeritus for his 38 years training apprentices to high standards. Joe loved competing. Whether it was baseball, softball, bowling or golf, Joe engaged the sport with fervor, studied it to better himself and taught others what he learned. He couldn't accept mediocrity in his craft, his athletic performance or anything else he did, including rebuilding cars, growing roses, customizing his home, training dogs (Duke!) or videotaping. Joe was smitten by Edna, for sixty years calling her the love of his life and doing his best to make her happy. They were constant companions who couldn't imagine life without each other. Shortly after marriage, as their family grew, Joe began coaching young people. Besides teaching his own children to compete successfully up to and through high school, he coached CYO boys basketball for decades, CYO girls softball and boys baseball. Hundreds of kids received lessons in life, excellence and championship success directly from Joe. And he taught others to coach. In the same way that Joe encouraged his son, son-in-law and two grandsons to follow his footsteps as carpenters, he also developed family members to be coaches. All four of his kids, Diane, Eileen, Joe and Barbara, both sons-in-law, and some grandchildren became coaches. In this way, Joe Powalski helped build thousands of young people in the Wilmington area. In later life, Joe enjoyed nothing more than watching his grandchildren or fishing, and combining the two was ecstasy. A grandchild, captive for a few hours in a Misty Harbor rowboat, would be regaled with stories of crabbing and fishing in Ocean City's bay from the 1950's onward. Having taught them how to bait a hook, he thrilled to watch them proudly reel in their first fishes. They also learned to expect Pop-pop to be a dedicated spectator at their sporting, academic and life events. Joe is survived by his children; Diane(Alex), Joseph (Carla), Barbara(Jeff); his grandchildren, Brian(Melody), Lauren(Justin), Joseph, Eric, Rachel, Jeffrey and Taylor and great grandchildren, Ethan and Madelyn. He was predeceased by his wife, Edna F. Powalski and a daughter, Eileen Powalski. Family and friends are invited to visit the Doherty Funeral Home, 3200 Limestone Road, Wilmington, DE on Monday, May 14 from 6-8 pm. A Mass of Christian Burial will be offered in St. Matthew Church, 901 E. Newport Pike, Wilmington, DE on Tuesday, May 15 at 11 am. Interment will follow in the Delaware Veteran Memorial Cemetery, Bear, DE.